My dad was a pilot. 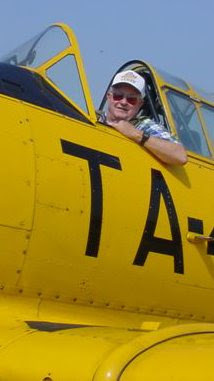 He flew small, private planes from the age of 16, and I flew with him (as a passenger) many times. I remember his meticulous pre-flight inspection. With the checklist on a clipboard, he would walk slowly around the outside of the plane, moving the rudder right and left with his hands. Each wing flap was moved up and down all the way to its stop. When he got inside the plane he would move them again, using the pedals. Before every single flight, whether we would be flying cross-country or just shooting touch-and-goes right here at the airport, he would check the condition of the tires and brakes and open the cowl and get down on his hands and knees and crawl underneath the engine, looking for leaking fluids. As each item was penciled off on the list, my Dad would actually say "Flaps, check". "Tires, check." I am sure he spoke the verbal confirmation even when he was flying solo. Climbing inside the plane, he started flipping switches and calibrating instruments and testing radios. I don't know what it was, but one instrument always seemed to require a finger-pop to it's crystal before he was satisfied that it was working right. I remember as I sat silently watching him, the right-side steering yoke right in front of me, thinking of all of the possible parts of this 40 year-old airplane that could fail and cause us to crash. I also remember thinking what a huge responsibility it is to take an airplane into the sky. Two plane crashes in recent days have had me thinking of my Dad. Listening to the flat voice of "Sully" Sullenberger as he continuously recalculated his airspeed, glide angle and the distances to three possible landing sites, all the while in full knowledge that this was going to be a crash, my wife was amazed at his coolness. "How can he do that? ", she asked quietly. The survival of all his passengers, and the safety of those who might have been killed on the ground, were a giant buzz for this country. We revelled in the competency and the skills of Sully and the crew, the air traffic controllers and the dozens of rescue crews that converged on the river. Then last Thursday night, also in New York, an icy plane with 49 souls on board dropped out of the sky, killing all aboard and one on the ground. Recent analysis of that airplane's recorders indicate that the pilot may have actually contributed to the crash, due to his inexperience with the particular plane. The whole country celebrated with Captian Sullenberger, his crew and the passengers and their families. I can't stop thinking about the families of the Captain of Continental Connection Flight 3407, Marvin Renslow, and his copilot, Rebecca Shaw.